Kyle Elkheart‘s academic father has gone missing somewhere in Canada, and Kyle, together with his womanizing brother Eric and little sister Shawna go and look for him. Along for the trip are Eric’s fiance Jessica and Shawna’s boyfriend Zack. 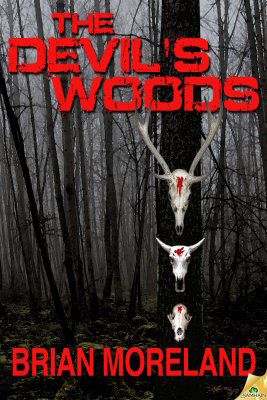 Set around a forest Cree Indian legends say is evil, The Devil’s Woods (2013) takes its time to get going. There are occasional maulings by an unseen creature, but otherwise it’s all character build-up for the first two-thirds; the relationships between siblings gets strained, with Kyle falling for Eric’s fiance, as well as Eric fooling around with a local woman. Little does he know that there’s something fishy about these descendants of Danish settlers, who, for example, abduct passing women for their nefarious needs. The Elkhearts, even though they grew up in the area, are surprisingly obtuse to the fact that their neighbours aren’t even human. But nevermind; once they figure it out, it’s lock and load and fire at will. Dad Elkheart pops up with a couple of mercenaries (an Italian and a South African, no less) and even Kyle goes into a crazy pulp action mode. 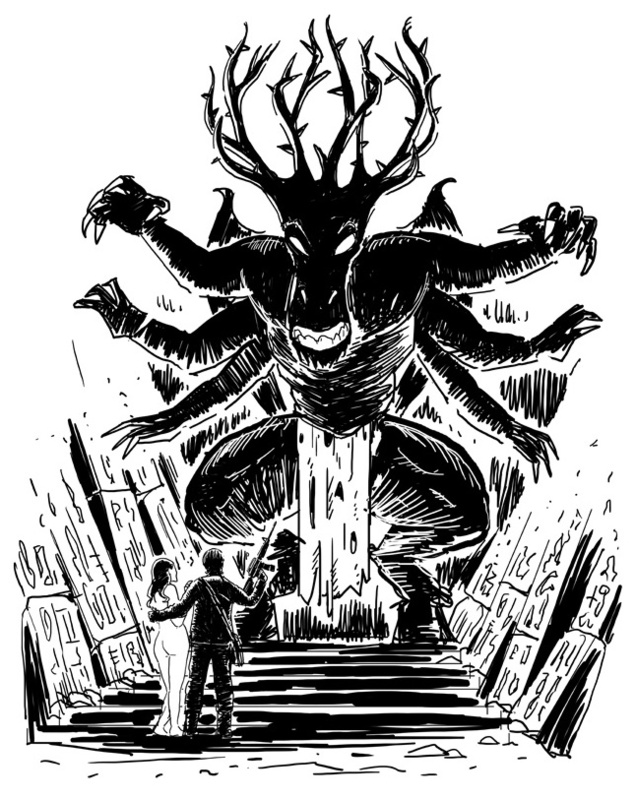 The final third of the novel is adrenaline-fueled horror of the first order, with a full-on attack into the subterranean temples of the things that have so long held sway over the Devil’s Woods. And there’s a damsel in distress as well! I don’t think I even need to tell that they fly out of there in a small plane in the end? They do indeed. This reviewer’s artistic impression of the novel’s climax! Truly, this is epic pulp goodness. As may be apparent, it’s not exactly realistic fiction we’re talking about; but it is quite awesome, in a Robert E. Howard kind of way. The writing is good throughout; Kyle’s visit to the local graveyard being a particularly memorable scene, as well as all of the last third. The sudden change from a family drama to pulp horror is somewhat jarring, but who cares; it’s unbridled fun from there to the final line. Available now as an ebook and in print from Samhain Publishing. Visit the author’s site!